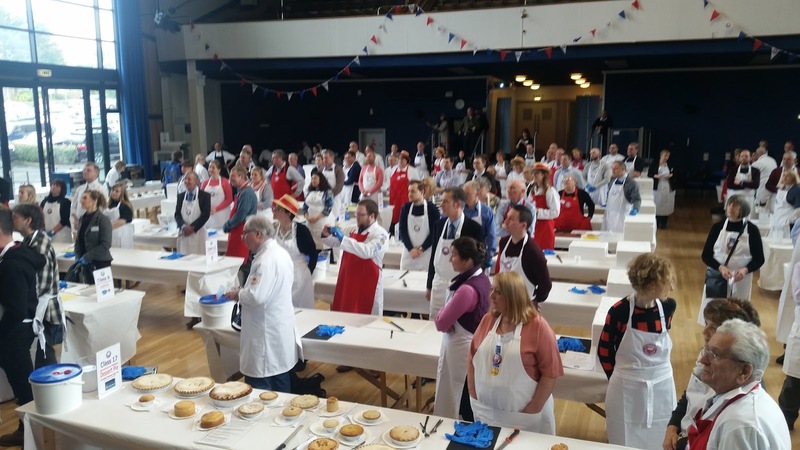 The Wednesday of British Pie Week is now the home of the British Pie Awards, and we sent Pierateer Rob over to Melton Mowbray to blog and tweet his way through nearly nine hundred pies being rated! 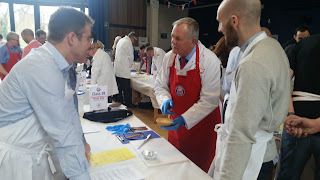 You can find out what he got up to in his review of the British Pie Awards Live! We're also delighted over 8,000 of you have now read our article "Everything you need to know about British Pie Week" and to have picked up some more pies from Nice Pie in Melton Mowbray ready for the weekend pie extravaganza we're planning in Leeds! 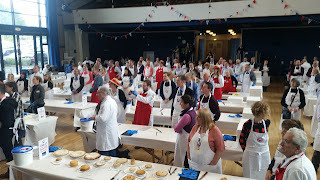 As for today, it was another long day of pie chat - this time covering the British Pie Awards - Live! Hundreds of you have taken a look at our article already and you can find out lots about what happened there, but we'll also be providing reaction to the results in our write up of the awards later in the week, after the awards lunch on Friday! It was also great to meet our British Pie Awards Judge Com-pie-tition winners, and we hope to include an interview with the winners in our review article! The art of pie rating - something we like to think we've mastered! While Pierateer RAS went to the British Pie Awards, I had a rather less eventful day sat at work. After yesterday's fire-breather of a pie, I opted for a cooler choice and had another slice of my Waitrose Apple and Blackberry pie. This is a pie which is sitting nicely with me and appears to be improving with age, like a fine wine. I'm also gathering my thoughts before attempting the Triple Pie-thagorus this weekend in Leeds. This will involve eating a pie for starter, main and dessert for each meal of the day. That's only 9 pie, how hard can it be?